Shel Silverstein is my kinda guy. 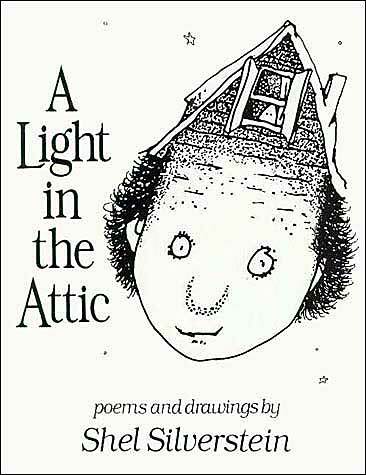 He wrote the wildly successful book, A Light In The Attic. I’ve loved going up into the attic since I was a kid. Dusting off boxes, opening them up to see what hidden treasures they contained was fascinating. I’d look at stuff and wonder about the past. Getting lost in thought and memory was fun. Dreaming about the future was equally fun. How can you not think of the future when you’re remembering the past? For some weeks now I’ve been wanting to pull out the stairs to the attic here. Today I went up there, turned on the light, dusted off a few boxes and opened them up to see what I might find. My hope was to dig out a few memories, connect a few dots and think about the future. Attics have often helped me do that…so I figured it was time. Previous post: Do You Have Enough Touchpoints In Your Sales Process?